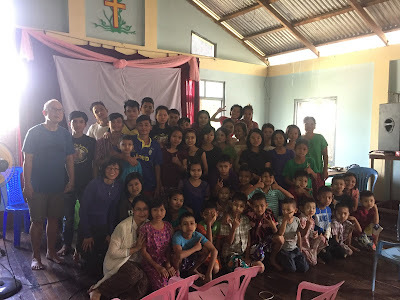 Friends of Burma, Inc., a 501 (c)(3) non profit organization. 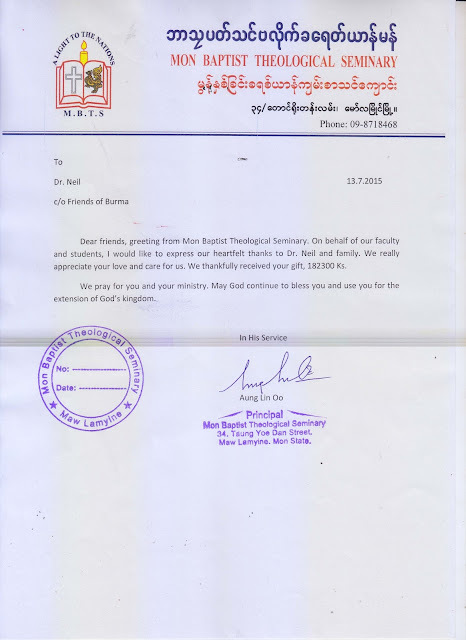 We received a newsletter from Karen Baptist Convention's Care and Counselling department last year. They have reports on some of the child care centers we are supporting. The newsletter is in both Karen and English, and available here. For many years, Friends of Burma has facilitated interested organizations to help the people of Burma. Lightning For Learning is a group of concerned families, who have taken an interest in education, especially for orphans and residents of childcare centers. The Wu family has been active in fund raising for scholarships. We welcome others to give to this fund, which will enable people to assist worthy students in their university studies. 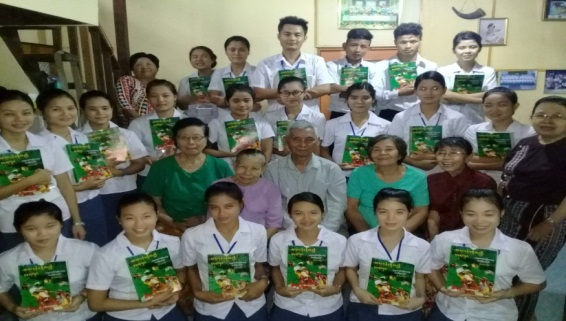 On behalf of Community Health Care Training, Thamaing, I would like to thank you for your contribution of 21 copies of "Where there is no doctor." Because of your generous donation, we will be able to send thank you very much for your generosity. Again, we thank you for your generosity and look forward to working with you again next year. May God be with you and in your ministries and May the God Lord Bless and keep you Always.